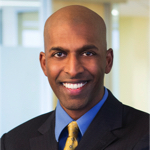 Aravind Swaminathan is a partner at Orrick, Herrington & Sutcliffe LLP. Data is igniting a global, technological revolution. Increased collection, use, storage, and transfer of data has shifted the paradigm of innovation – and created a global security problem. Fortune 500 companies with large quantities of data, cities with vulnerable infrastructure, and every institution in between must manage that risk, without encumbering progress or technological advancement. To do so, they turn to Aravind Swaminathan, Global Co-chair of Orrick’s internationally recognized Cyber, Privacy & Data Innovation team. As a strategic cybersecurity advisor, Aravind collaborates with his clients to proactively plan for a crisis and develop strategies to protect their business and brand. He guides everyone from large public company financial institutions to start-up technology companies to critical infrastructure providers through incidents, and develops business- and brand-centric tactics to mitigate and manage risk. He has directed more than 150 cybersecurity and data breach investigations, including those with national security implications. With extensive trial and litigation experience, he also defends his clients when cyber, privacy, and payments issues lead to regulatory investigations by the SEC, DOJ, FTC, and state Attorneys General and other litigation, including class action litigation and shareholder derivative suits. Aravind’s background as an Assistant United States Attorney and Computer Hacking and Intellectual Property Section gives him first-hand understanding of federal agencies that allows him to swiftly navigate the system, partner with investigators and find creative solutions for his clients. As a federal cybercrime prosecutor, Aravind investigated and prosecuted a broad array of cybercrime cases, including hacking, phishing, trade secrets theft, click fraud, cyber threats, and identity theft. Aravind also led the cybercrime outreach program, where he worked with members of the Department of Justice, state and federal regulators, law enforcement and other organizations on cybersecurity and related privacy issues. Aravind is a sought-after speaker by Boards of Directors and industry professionals on cybersecurity issues, including threat landscapes, incident response plans, compliance, and brand/reputational risk management.